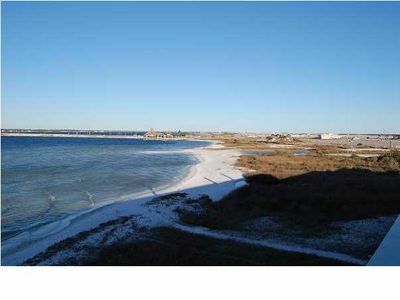 Our condo is in the west building of the Summerwind complex, located directly on the beach in Navarre, FL. 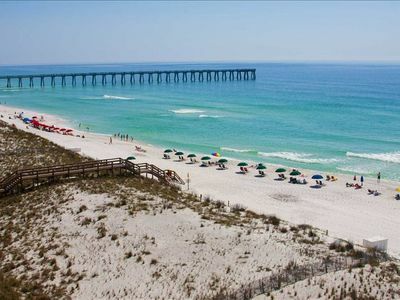 Navarre has a lot to offer without all of the traffic. 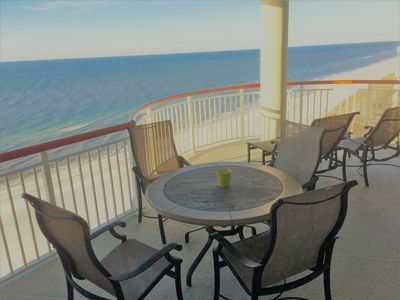 Relax and enjoy great views and sunsets from the spacious balcony of our 15th floor unit. 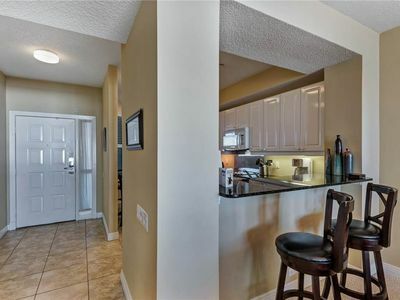 Our unit is nicely decorated and has 10 foot ceilings which make it feel extra spacious. 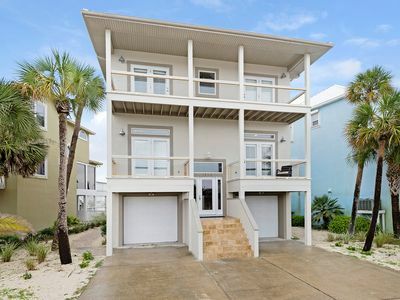 There are 2 bedrooms, a large bunkroom, and 2 full size bathrooms. 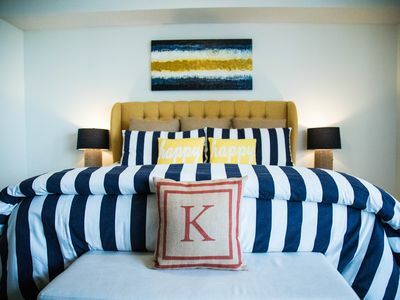 There is a king size bed in the master bedroom, 2 full size beds in the second bedroom, and 2 twin beds in the bunkroom. 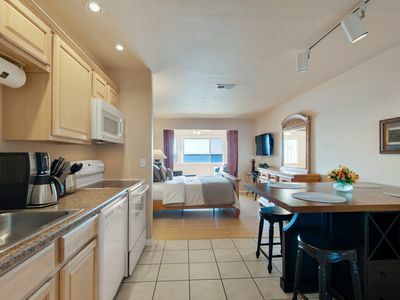 There are TV’s in each bedroom, as well as, the living room. 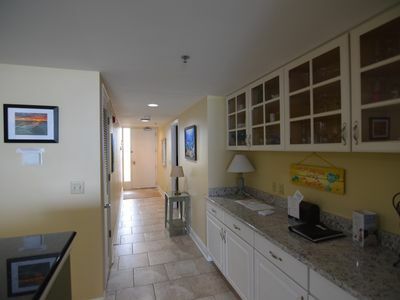 The kitchen is well stocked, and there is a full size laundry room. No pets and no smoking are allowed. 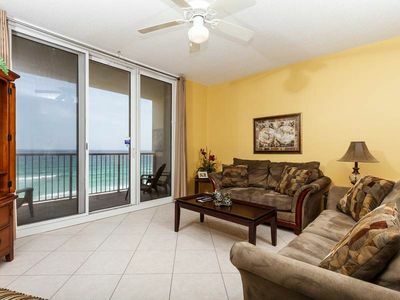 There is a fitness center on the first floor of the building facing the Gulf of Mexico. 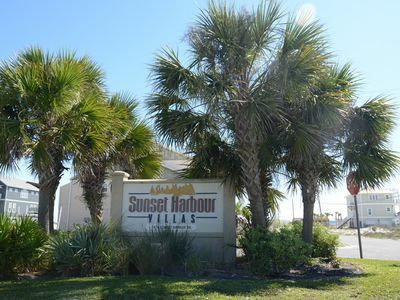 The pool and hot tub are also located on the gulf side. 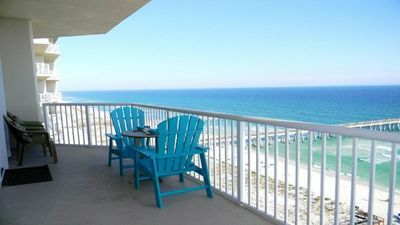 The beach service offers rental of chairs and umbrellas. 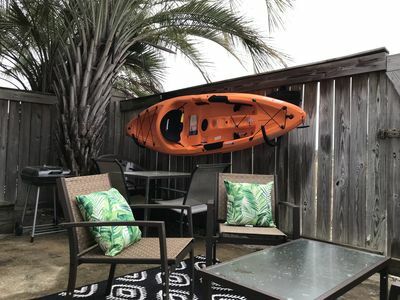 There is a jogging/bike trail across the street, and bikes and jet skis to rent. 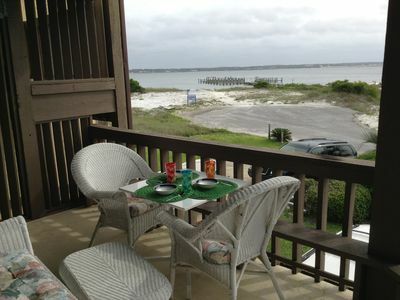 There are 2 large grocery stores, restaurants, and fast food located directly in Navarre Beach. 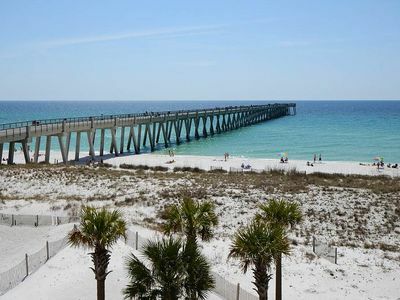 For a wider variety of activities, shopping, and restaurants, Navarre is conveniently located between Pensacola and Destin, a short driving distance to either. 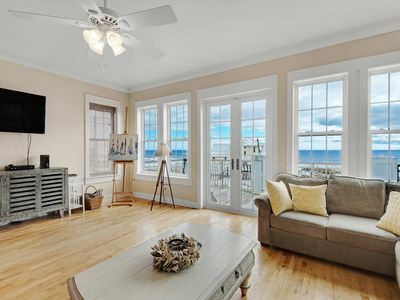 Totally Renovated Beach House! 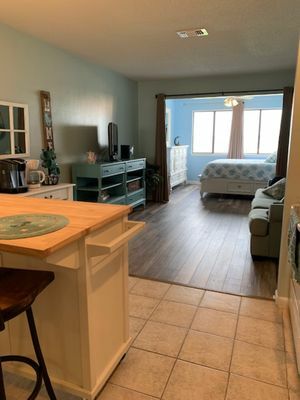 5BRs & Bonus Room! 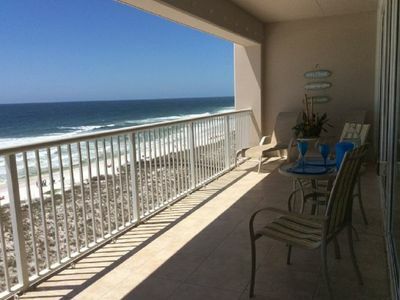 Awesome beach -panoramic views, sleeps 18! Comm Pool - Great spring rates! 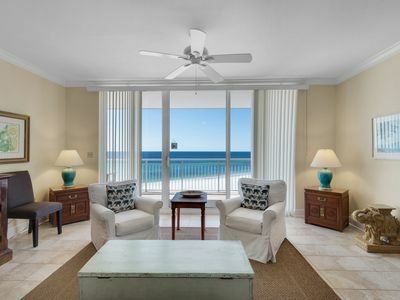 Gorgeous Gulf Front 3BR/3BALuxury Condo! 2 Bikes Included! Book Soon! NEW PROPERTY!!! Welcome to the Island Lifestyle - Sea Saltation 1-211! 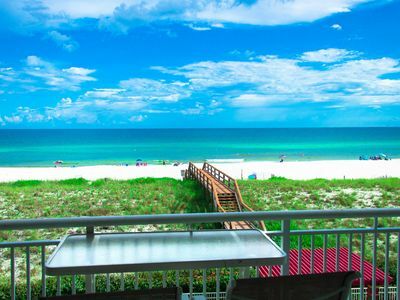 Gulf Front 2bed/2bath that sleeps 8! 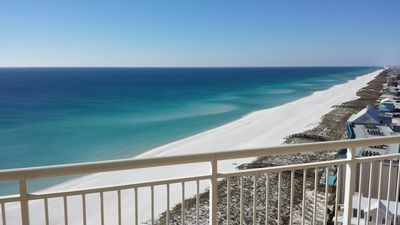 Right on the white sands of Navarre Beach! 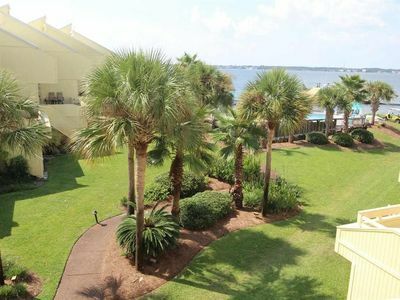 Shore Sounds Good- Book Today You will not be disappointed!